Mennonites are known for their "peace position" and are often referred to as one of the "historic peace churches" (along with the Church of the Brethren and the Society of Friends). Their witness against violence and warfare is demonstrated in conscientious objection to military service and a quest for alternatives to violence. Traditionally Mennonites have expressed their beliefs about the way of peace in the language of "nonresistance," derived from literal obedience to the teaching of Jesus in Matthew 5:38ff. : "resist not evil, turn the other cheek, love your enemies." Thus the 4-volume Mennonite Encyclopedia published in the 1950s had no article on peace, but the topic of nonresistance was developed at length, in both biblical and historical perspectives. This approach reflects the fact that in the earlier part of the 20th century, many Mennonites hesitated to be identified as "pacifists." They made a point of distinguishing between their own commitment to biblical "nonresistance" and the "pacifism" of other religious and political groups whose position was considered to be based more on humanistic or philosophical views than on biblical authority. This view remains central for many Mennonites. Other Mennonites have refocused the peace testimony during the last generation as a primary theme in the identity of the Mennonite churches. As Mennonites have responded to the events of the times, their thinkers have created a comprehensive peace theology; denominational agencies have developed extensive programs of peace education and sociopolitical and peace activism. Mennonite church life has thus continually been challenged with opportunities to demonstrate the meaning of Mennonites' professed adherence to the way of peace. Nonresistance was for several generations the key concept in Mennonite ethics. The term included a number of social implications: costly discipleship, relief and service efforts, attitudes on industrial (labor unions) and race relations -- in short, the way of the cross embodied in a faithful church community. The major work of Guy F. Hershberger, War, Peace, and Nonresistance (1944, with new editions in 1953 and 1969) set forth a Mennonite peace position more fully than ever before. The book included both Old and New Testament exegesis, the history of peace thought in the Christian church with particular attention to Anabaptist and Mennonite experience, and discussion of the contemporary implications of the peace position. This landmark study functioned as a foundational peace theology for all the major Mennonite bodies in North America; the numerous denominational resolutions and position statements from the 1940s to the 1960s reflect a consensus based on Hershberger's views', with no significant deviations. Hershberger's work enabled Mennonites to move beyond more than two decades of debate (especially in the Mennonite Church [MC]) over the proper political posture of the church. 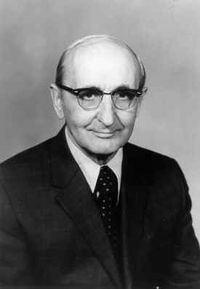 One wing of Mennonitism, influenced by Fundamentalism and dispensationalism, was critical of efforts to influence governments toward more peaceful policies. These critics claimed that Christians were not called to prevent wars, but only to maintain their own nonresistant stance. Proponents of this view, fearful of what they termed modernist social gospel tendencies, also denounced Mennonite fraternization with other religious pacifists, including efforts to join in public matters with Quakers (Friends) and the Church of the Brethren as "historic peace churches." On the other hand, the leadership of the Peace Problems Committee (MC) and the parallel agencies of the General Conference Mennonite Church, beginning in the decade after World War I, had taken a more active posture, ready to challenge the state to practice more explicitly Christian policies, both internationally and domestically. What Hershberger offered was a centrist way, a view of biblical nonresistance that was in essence nonpolitical, yet provided a platform for prophetic witness that had relevance for the political and social order. This enabled the mainstream of Mennonitism to move from a largely withdrawn, self-protective posture into more active forms of service and reconciling ministries (see Beulah Hostetler and Paul Toews essays listed in the bibliography). Throughout Anabaptist and Mennonite history, the nonresistance doctrine was grounded in simple faithful obedience to the teaching of Jesus, especially the Sermon on the Mount (Matthew 5-7). In Matthew 5.38-48, Jesus admonished his disciples, "Do not resist one who is evil," and illustrated this principle with the examples of turning the other cheek and going the second mile. The following command to "love your enemies" extended beyond the negative "defenseless" posture to call for positive reconciling action, in harmony with Matthew 5.9: "Blessed are the peacemakers. In addition to the teaching of Jesus, traditional Mennonite thought also emphasized the exemplary " way of the cross," in which the Messiah accomplishes his mission as a suffering servant-savior. Nonresistance was found in the numerous teachings on peaceful discipleship in the New Testament epistles. It was practiced by the apostles, and further attested in the consistent witness of the early church against the taking of life. The generation of Mennonite biblical scholars in the 1980s expanded and deepened the scriptural base of peace theology, with significant work on such themes as shalom, holy war, the politics of Jesus, and salvation and atonement theology. Unfolding the rich "shalom" vocabulary in the old Testament has granted new insight into God's purposes for the community of the faithful. This Hebrew word, occurring hundreds of times, is often translated as "peace," but also includes a range of other meanings: health, wholeness, justice, righteousness, harmony, and well-being. Closely related to covenant and salvation, shalom in the Old Testament is both present reality and future hope, a harbinger of the "kingdom of God" theme in the New Testament. But the Old Testament, with its long history of the wars of Israel, also raises the troublesome issue of God's apparent approval of violence and bloodshed. Mennonite thinkers have taken at least three approaches in responding to this problem. (1) The simplest is based on the words of Jesus that divide history into two epochs: "You have heard ... but I say to you." Whatever may have been commanded by Yahweh in the old dispensation is now superseded by the new way of Jesus. (2) G. F. Hershberger, concerned to find a more consistent understanding of the divine will, wrote of God's "concession to disobedience." Because the people of Israel were not faithful to God's high calling, they were consigned to live on the lower level of warfare and bloodshed. (3) More careful attention to the unique characteristics of biblical "holy war," at first glance a troublesome issue for peace theology, has revealed a theological model that minimizes human engagement in warfare as it calls for total trust and obedience to Yahweh, the transcendent warrior-king. Recent biblical theology has also emphasized the basic links between the cross of Christ, salvation, and ethics. In outline, this comprehensive view of atonement states that the God who made peace at the cross (Colossians 1) overcomes and defeats human enmity through this reconciling act ("peace with God," Romans 5), which serves as both example and power for peacemaking activity (Ephesians 2) by those who experience salvation and security ("the peace of God," Philippians 4) through their response to the gospel. For sources of this theological development, see the following: traditional views: Daniel Kauffman, Guy F. Hershberger, Henry Fast, Edward Yoder; shalom and holy war: Millard Lind, John H. Yoder, Perry Yoder; politics of Jesus: Ronald Sider, John H. Yoder; atonement: J. R. Burkholder and John Bender (ch. 4), John Driver, C. Norman Kraus, Perry Yoder. Mennonite peace theology has matured significantly since the 1950s, as a result both of digging deeper into biblical and historical foundations and of creative interaction with the issues of the times. This theological development was especially enhanced through opportunities for dialogue with other Christian traditions, as American peace church representatives, serving in Europe after World War II, engaged in sustained discussion with the mainstream churches. The series of Puidoux conferences (1955-1962) provided a unique opportunity for testing peace church convictions in a larger arena. The innovative work of these younger scholars, such as Paul Peachey and John Howard Yoder, came back to America first through informal publications such as the "Concern" series of pamphlets. According to Duane Friesen, "In 1950 the Mennonites had essentially no theology of witness to economic and political structures." That is, the main thrust of the nonresistant ethic, while refusing warfare, focused on interpersonal relations within the Christian community and social service to individuals beyond the community. Actual practice, however, may well have been ahead of the theology. Some public statements against conscription, for example, dared to challenge the whole conscription system itself as contrary to the purposes for which the state is ordained by God. But only in the 1960s was a rationale developed that legitimated such efforts to change the structures of the world by direct appeal to authorities. Ever since the Schleitheim confession (1527), Mennonite thought has wrestled with the doctrine of " two kingdoms." On one hand, the disciple lives out the love ethic in direct obedience to Jesus. On the other hand, God, who is sovereign over all, orders history through human authorities, and thus use of force by the state is legitimate. This view has sometimes led to a rigorous dualism that offers no critique of the state. Some Mennonites have believed that God wills a particular aggressive military action (to halt the advance of communism, for example) even though nonresistant Christians should have no part in it. The emerging Mennonite position of recent decades affirms the lordship of Christ over all the " powers" of the cosmos as a basic theological premise. If Christ is indeed lord over both church and world, then prophetic witness to the state is an integral part of the gospel message proclaiming the new age. Governmental authorities, however, cannot be expected to understand gospel language, but presumably can be addressed through secular norms ("middle axioms"), ideals of equality and justice that are ultimately grounded in the redemptive plan of God. Thus there is only one moral standard for both church and world; the crucial difference is in the response to that standard. This conviction enables Christians to call all of society, including the state, to account for its conduct in response to the will of God as made known through Christ. This more contemporary theology, while assuming a basic separation of church and state, enables the church to carry out a ministry of reconciliation and witness to both world and state. A second development has been the shift away from a narrow understanding of nonresistance toward recognition of the appropriateness of some forms of nonviolent resistance. The 1944 Hershberger view, characteristic of prevailing Mennonite thought, ruled out all forms of coercion and resistance, even nonviolent resistance. The movement led by Mohandas Gandhi was criticized as a human strategy for achieving political goals, rather than the biblical way of peace. The appearance of Martin Luther King, Jr., and the American civil rights movement presented a new form of nonviolent activity that challenged Mennonites who shared the concern for racial justice and peaceful social change. Observing that the King movement was rooted in the Afro-American churches, and noting its readiness to endure suffering, even unjustly, Hershberger and others were ready to consider both the legitimacy of the cause and the method. The growing involvement of Mennonite individuals in public nonviolent actions and the more frequent official church appeals to government were not approved by all segments of the church. A conservative reaction appeared in such publications as The Sword and Trumpet and Guidelines for Today, as well as the readers' pages in other Mennonite periodicals. Some voices urged a return to the traditional stance of withdrawal; others rebuked the perceived "leftist" slant of the new activism. In his 1958 doctoral dissertation, J. Lawrence Burkholder analyzed the tensions facing the Mennonite ethic as Mennonites moved from cultural isolation into the mainstream of American life. He predicted that the basic Mennonite concern to do good for the neighbor in need would inevitably bring about change in the traditional peace theology. By the 1980s, his views were recognized as prophetic. 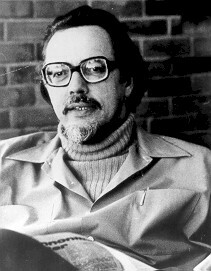 The Mennonite Central Committee (MCC) Peace Section sponsored a series of "Peace Theology Colloquia," beginning in October 1976, when the topic was Yoder's Politics of Jesus. Since then other issues of peace and justice ethics have been examined in these gatherings of scholars arid church workers. Historians have observed that during the first half of the 20th century, American Mennonites were most in danger of losing their normative Anabaptist roots, in part because of the influence of Fundamentalism and in part due to the lack of a creative theological effort to deal with the massive pressure of social change. Moving from the withdrawal stance of the 1920s to almost total social and cultural participation in the 1980s has put heavy strains on the inherited theological and ethical formulations, or at least on the ways in which they have often been understood. The churches did produce leaders and resources to address the issues. The World War I experience demanded dealings with government, resulting in conference peace committees and the Mennonite Central Committee. From 1919 to 1971, the Peace Problems Committee of the Mennonite Church (MC; later called the Committee on Peace and Social Concerns) served as the chief source of authoritative statements on peace and church-state issues for the Mennonite Church (MC). Among its leaders for five decades were Orie Miller, Harold Bender, Guy Hershberger, and John E. Lapp. Parallel efforts in the General Conference Mennonite Church were led by such men as A. J. Neuenschwander, H. P. Krehbiel, H. A. Fast, C. Henry Smith, and Ernest Bohn. Prominent in peace witness among the Mennonite Brethren were B. B. Janz, C. F. Klassen and P. C. Hiebert. These leaders played important roles in shaping both thought and action in the sociopolitical arena, as the church learned from its experience and made a better showing in the 1930s, both internally through educational efforts on nonresistance, and politically by sending delegations to Washington and Ottawa. The creation of the Civilian Public Service program of World War II, through cooperation with other peace churches and the government, represented a major new institutional effort. The experience of Mennonite conscientious objectors during two world wars undoubtedly shaped the planning for a new draft situation in the early 1950s. This time the church was ahead of the government, by preparing, through MCC Peace Section, plans for alternative service which were then presented to government officials. During this period Mennonite spokesmen regularly presented statements in appropriate governmental settings, opposing universal military training and speaking to other aspects of conscription. In the 1950s Mennonites entered Vietnam, first in MCC service, then in mission work supported by the Eastern Mennonite Board of Missions and Charities. Within a few years the American military presence in Vietnam had turned into an undeclared war. Soon, Mennonites were speaking out against that war, based on the historic position of the church and grounded in the mission and service experience of Mennonite personnel in Vietnam. An official statement of Mennonite Church (MC) in 1965 included a telegram to President Lyndon Johnson, questioning "the moral basis of the American involvement in Vietnam" (Peachey, ed., Mennonite statements [19801, 237). American Mennonites responded in various ways to the social turmoil of the 1960s -- civil rights activities, antiwar protests, resistance to the draft and to war taxes. Social activism on college campuses spilled over into communities and congregations. As the whole society debated vital questions of pacifism, politics, and resistance, some Mennonites joined in civil disobedience and a few were arrested. Mennonites worked with organizations such as the Fellowship of Reconciliation and SANE; some joined intentional communities dedicated to resistance. Canadian Mennonites offered their resources to young men from the United States escaping the draft. During these turbulent times, Mennonites were pushed to re-examine and extend the traditional teachings as they sought to respond to events in light of biblical understandings. Delegates to church conferences passed numerous resolutions on demonstrations, draft resistance, war tax refusal, nuclear weapons, and war itself. Attitudes and positions on these controversies ignored denominational boundaries, with both progressive and conservative voices to be found in every grouping. At the level of actual practice, attitudes toward pacifism were analyzed in a sociological study of five Anabaptist denominations in the United States and Canada (Kauffman/Harder, Anabaptists four c. later ). Overall, 73 percent of respondents agreed that Christians should take no part in warfare. But their views, on related church programs and political activity varied much more widely. More recent analysis by sociologist Donald Kraybill documents the diversity of Mennonite understanding and behavior in relation to the peace position. While most Mennonites profess some kind of adherence to pacifist beliefs, many have no hesitation in voting for militarist politicians or working in defense-related industries. In 1976, American Mennonites joined with Brethren and Quakers to explore their common commitment under the banner of "New Call to Peacemaking." This initiative had been launched by evangelical Friends seeking to recover and extend the biblical peace testimony of early Quakers. Numerous regional meetings between the three "historic peace churches" culminated in a national conference at Green Lake, Wis., in 1978. Two more national conferences followed in 1980 and 1982. With part-time staff and occasional steering committee meetings, "New Call" continues to sponsor publications and gatherings that seek both to meet needs within the peace church constituency and to promote peace activity among other Christians. Such efforts at interchurch cooperation in peacemaking are one of the significant developments of the 1980s. As local peace centers were formed in scores of cities, Mennonites were involved in staffing and funding for at least 40 such projects. The typical program for such centers includes furnishing educational resources, planning public events, and organizing networks for peace and justice activists. Other recent local ecumenical efforts have brought together representatives from other denominational groups for interfaith dialogue on peace theology and peacemaking. Mennonites have joined with Baptist, Roman Catholic, and Reformed groups in consultations and specific activities. There are growing opportunities for Mennonites to share their peace concerns with other Christians. Two other recent projects demonstrate interest in active peacemaking that goes beyond the basic rejection of violence. Mennonite Conciliation Service (affiliated with MCC Peace Section) is the organizational base for training and practice in the skills of mediation. Christian Peacemaker Teams are the outgrowth of the call to costly nonviolent action brought to the 1984 Mennonite World Conference by Ronald Sider. In December 1986, major Mennonite agencies approved the concept and moved toward training programs. The intent is to prepare teams of persons to intervene in conflict situations, attempting to reduce violence and foster justice through nonviolent action. The renewal of a peace testimony among the Mennonites of Europe has continued in the last decades. Dutch, German, and Swiss Mennonites have active peace committees (Doopsgezinde Vredesgroep; Deutsches Mennonitisches Friedenskomitee; Europäisches Mennonitisches Friedenskomitee; [[Schweizerisches Mennonitisches Friedenskomitee/ Comité Mennonite suisse pour la paix (SMFK/ CMSP; Swiss Mennonite Peace Committee)|Schweizerisches Mennonitisches Friedenskomitee/Comité Mennonite Suisse pour la paix)]]. These groups advise conscientious objectors, sponsor occasional conferences and seminars, engage in occasional publishing, and carry on conversation with other church groups. There has been significant growth of conscientious objection in Germany, among both Mennonites and other groups. Mennonites have been active in public peace and disarmament movements. European Mennonites have cooperated in "Eirene," an organization providing opportunities for international voluntary service which also sponsored various efforts at peace education. A newer ecumenical network, "Church and Peace," has contributed greatly to the renewal of the peace testimony in Europe, with major involvement from Mennonites and MCC. A series of study tours and delegations to eastern Europe and the Soviet Union have been a significant part of Mennonite peace activity. From its beginning in 1942, the MCC Peace Section (see also Mennonite Central Committee Canada Peace and Social Concerns Committee) has been involved in international efforts to strengthen and expand the peace witness of the church, increasingly in cooperation with mission boards and national churches. In the 1940s peace missioners were assigned to Europe and South America, followed by similar efforts in Japan, India, and other parts of Asia and Africa. Missioners to Japan have included Melvin Gingerich, Paul Peachey, Ferd Ediger, and Carl Beck. Japanese Mennonites have been involved in significant peace education and antiwar projects. Peace themes have been part of the agenda at the three meetings of the Asia Mennonite Conference (Dhamtari, India, 1972, Osaka, Japan, 1980, Taipei, Taiwan, 1986), especially at the third conference in Taiwan which sent a message of concern about nuclear issues to more than 30 governments around the world. The formation of the Mennonite Christian Service Fellowship of India in the early 1960s was in part an expression of growing interest in peace education under the leadership of P. J. Malagar. At the invitation of this group, peace teaching missions were conducted in the churches of India by Edgar Metzler in 1964 and Norman Kraus in 1978. In the 1960s, Elmer Neufeld and Henry Hostetter carried out special assignments in Africa. More recently, Mennonites have been engaged in efforts to bring reconciliation themes and skills to the troubled situation in southern Africa. Conflict situations in Vietnam and the Middle East provided opportunity for special peacemaking ministries, often not directly related to Mennonite constituencies, but concerned with understanding conflict and working at reconciliation. Atlee Beechy, Frank H. Epp, John A. Lapp, and others have carried out assignments in these areas. Frank Epp served MCC Peace Section for a time as Director of Studies in International Conflict. Early Mennonite mission efforts in Latin America lacked a consistent peace teaching and the peace witness record of the Mennonite immigrant communities in Brazil, Paraguay, and Uruguay is uneven. But more recently, Latin America Mennonites have strengthened their efforts at developing peace convictions among the churches, as well as engaging in ecumenical conversations on the role of the church in a violent society. Although official recognition for conscientious objection has been virtually nonexistent in Latin America, Mennonite youth have occasionally been granted noncombatant options. Mennonites in Argentina and Brazil have worked on models for alternatives to military service. Nicaraguan Mennonites, faced with widespread compulsory service, have engaged government officials in an endeavor to find alternatives for their young people. Honduran Mennonites have begun on their own to create alternative service structures that might meet government approval. In the midst of a revolutionary political situation in Central America, the small Mennonite bodies in five countries have been singularly alert to peace and justice concerns. Plans for special personnel assignments and publications have been supported by the churches with MCC cooperation. A broadly based Latin American "missions consultation" in Guatemala in 1986 included significant presentations on peace and justice issues. The International Mennonite Peace Committee (not to be confused with the International Mennonite Peace Committee in Europe, since renamed Europaisches Mennonitisches Friedenskomitee), which had met informally at Mennonite World Conference (MWC) assemblies for many years, was restructured at the 1972 Curitiba, Brazil, conference. Since 1986 it has been integrated into the MWC structure, and is committed to serve churches around the world as a resource for peace witness. At the end of the 1980s, it is difficult to assess the Mennonite peace position. On one hand, there has been impressive growth in church agency activity, in educational programs, and in theological sophistication. In the wider Christian world, the cogency and relevance of Mennonite pacifism has made a significant impact. At the same time, the rapid assimilation of Mennonites into the mainstream of society (particularly in the Western world) threatens to erode the traditional commitment to stand over against the world in faithful obedience to the love of Christ. Swartley, Willard and Cornelius J. Dyck, eds. An Annotated Bibliography of Mennonite Writings on War and Peace, 1930-1980. Scottdale, Pa.: Herald Press, 1987. Bauman, Clarence. Gewaltlosigkeit im Täufertum. Burkholder, J. Lawrence. "The Problem of Social Responsibility from the Perspective of the Mennonite Church." ThD diss., Princeton Theological Seminary, 1958; published Elkhart, Ind. : IMS, 1988. Burkholder, J. R. and John Bender, Children of Peace. Elgin Ill.: Brethren Press, 1982, esp. ch. 4 on salvation and peace. Burkholder, John Richard. Continuity and Change: a Search for a Mennonite Social Ethic. Akron Pa.: MCC, 1977. Burkholder, John Richard. and Calvin Redekop, eds, Kingdom, Cross, and Community. Scottdale, 1976. Concern, a series of pamphlets published beginning in 1954. Detweiler, Richard C. Mennonite Statements on Peace, 1915-1966. Scottdale, 1968. Driver, John. Understanding the Atonement. Scottdale, 1986. Durnbaugh, Donald F., ed. On Earth Peace: Discussions on War/Peace Issues between Friends, Mennonites, Brethren, and European Churches, 1935-75. Elgin, Ill.: Brethren Press, 1978. Epp, Frank H. A Strategy for Peace: Reflections of a Christian Pacifist. Grand Rapids: Eerdmans, 1973. Epp, Frank H. and Marlene G. Epp. The Progressions of the Mennonite Central Committee Peace Section. Akron Pa.: MCC, 1984. Fast, Henry A. Jesus and Human Conflict. Scottdale, 1959. Friesen, Duane K. Christian Peacemaking and International Conflict. Scottdale, 1986. Friesen, Duane K. Mennonite Witness on Peace and Social Concerns: 1900-1980. Akron Pa.: MCC, 1982. General Conference Mennonite Church. "The Way of Peace" an official statement in 1971. Articles in Guidelines for Today. Harder, Helmut. The Way of Peace. Hershberger, Guy F. War, Peace, and Nonresistance. Scottdale, 1944, 1953, 1969. Hershberger, Guy F. The Mennonite Church in the Second World War. Scottdale, 1951. Hostetler, Beulah S. Hostetler. "Irrelevant Outsider or Almost Insider? : Mennonites and Mainline Peace Emphases." (unpublished). Juhnke, James C. A People of Mission: a History of General Conference Mennonite Overseas Mission. Newton: Faith and Life, 1979: 120-23, on Japanese Mennonites. Kauffman, Daniel, ed. Doctrines of the Bible. Scottdale, 1929, esp. part VII, ch. VII, for the traditional Mennonite view of nonresistance. Kauffman, J. Howard and Leland Harder, eds., Anabaptists Four Centuries Later: a Profile of Five Mennonite and Brethren in Christ Denominations. Scottdale, Pa.: Herald Press, 1975. Kaufman, Donald. What belongs to Caesar? Scottdale, 1969. Kaufman, Gordon Nonresistance and Responsibility. Newton, 1979. Kaufman, Gordon. Theology for a Nuclear Age. Philadelphia: Westminster, 1985. Keeney, William. Lordship as Servanthood. Newton, 1975. Klassen, William. Love of Enemies. Philadelphia: Fortress, 1984. Kraus, C. Norman. Jesus Christ our Lord: Christology from a Disciple's Perspective. Scottdale, 1987. Kraybill, Donald. "C. Henry Smith Peace Lecture" (March 1987), unpublished. Kraybill, Ronald. Repairing the Breach. Scottdale, 1981. Lapp, John A. The Mennonite Church in India, 1897-1962. Scottdale: Herald Press, 1972: 91-93. Lapp, John A. "The Peace Mission of the Mennonite Central Committee." Mennonite Quarterly Review 44 (1970): 281-97. Lapp, John A., ed. Peacemakers in a Broken World. Scottdale, 1969. Lind, Millard C. Yahweh is a Warrior: the Theology of Warfare in Ancient Israel. Scottdale, 1981. Metzler, James E. From Saigon to Shalom. Scottdale, 1985. MCC Peace Section, Reports and Publications, especially Peace Section Newsletter. Mennonite Church (MC) General Assembly. Justice and the Christian Witness, statement adopted by both the General Conference Mennonite Church and the Mennonite Church General Assembly (1985). Mennonite Church (MC) General Conference. "The Christian Witness to the State." (1961). Peachey, Urbane, ed. Mennonite Statements on Peace and Social Concerns, 1900-1978. Akron Pa,: MCC, 1980. 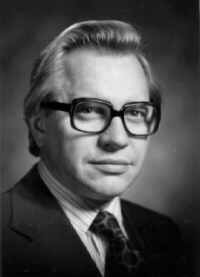 Ramseyer, Robert L., ed. Mission and the Peace Witness. Scottdale, 1979. Rutschman, LaVerne. "Anabaptism and Liberation Theology." Mennonite Quarterly Review 55 (1981): 255-70. Shelly, Maynard. New Call to Peacemakers. Shenk, Ken Johnson. "The Japanese Church faces Militarism and Violence: a Historical Perspective." Mission Focus 14, no. 1 (March 1986): 5-9. Sider, Ronald J. Christ and Violence. Scottdale, 1979. Siemens, Mark. "Waging Peace: What Four Mennonite Churches are Doing." Christian Leader (Oct. 18, 1983): 2-5. Various articles in Sword and Trumpet. Toews, John E. and Gordon Nickel, eds, The Power of the Lamb. Hillsboro, Ks. : Kindred Press, 1986. Wenger, J. C. Pacifism and Biblical Nonresistance. Scottdale, 1968. Yoder, John H. Christian Attitudes to War, Peace and Revolution. Elkhart: Mennonite Cooperative Bookstore, 1983. Yoder, John H. The Politics of Jesus. Grand Rapids: Eerdmans, 1972. Yoder, John H. The Original Revolution. Scottdale, 1972. Yoder, John H. Nevertheless: The Varieties of Christian Pacifism. Scottdale, 1971. Yoder, John H. The Christian Witness to the State. Newton, 1964. Yoder, Perry B. Shalom: the Bible's Word for Salvation, Justice, and Peace. New ton, 1987. Burkholder, John R. "Peace." Global Anabaptist Mennonite Encyclopedia Online. 1989. Web. 23 Apr 2019. http://gameo.org/index.php?title=Peace&oldid=162879. Burkholder, John R. (1989). Peace. Global Anabaptist Mennonite Encyclopedia Online. Retrieved 23 April 2019, from http://gameo.org/index.php?title=Peace&oldid=162879. Adapted by permission of Herald Press, Harrisonburg, Virginia, from Mennonite Encyclopedia, Vol. 5, pp. 681-685. All rights reserved. This page was last modified on 31 December 2018, at 13:54.